The Exile Chair by Eichholtz is a perfect example of a retro inspired furniture design made with the highest quality materials, exquisite craftsmanship and impeccable attention to detail. This Classic Mid-Century Modern design has been brought bang up to date with a contemporary colour palette perfect for the modern home. 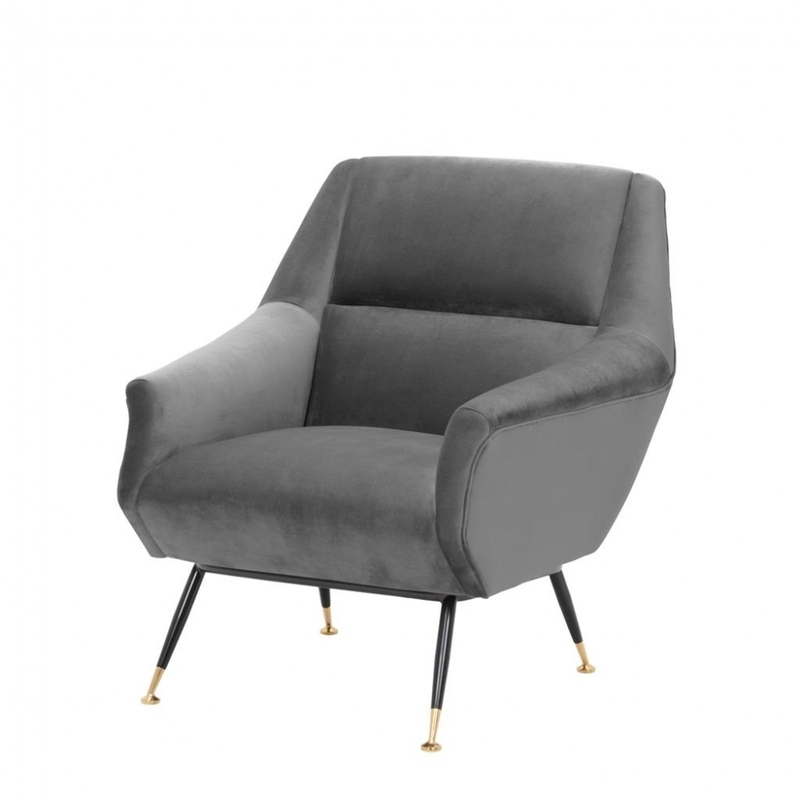 Available in warm Roche porpoise grey or striking Cameron deep turquoise velvet, finished with sleek angled black legs with brass detailing the Exile Chair is a perfect hero piece for any classic contemporary interior design scheme. Style the Exile Chair with a 1950’s inspired coffee table to make a bold statement in a modern, glazed hallway or living room. Create a fun yet practical accent to a TV or family room or go all out 1960’s with buttoned back sofas, smoked glass tables, teak furniture and vintage lighting in a hipster bar or city apartment. Here at Uber, we have an extensive directory of Eichholtz luxury homewares and other, similarly high quality interior brands to choose from. Why not contact our expert interior design team for further details and inspiration?